Slow down and discover the comfort and luxury of Westports only waterfront Hotel, located at the Quay village bustling with friendliness and atmosphere. Feel and taste the oceans force on your door step while enjoying the sheer beauty of Clew bay and the greatness of Croagh Patrick. Indulge in good food and savour the taste of an attractive wine from our carefully selected menu. Snuggle up to an open fire as the sun sets over the bay. Wake up to the spectacular views of Clew bay, guaranteed to provide you with the best start each day! 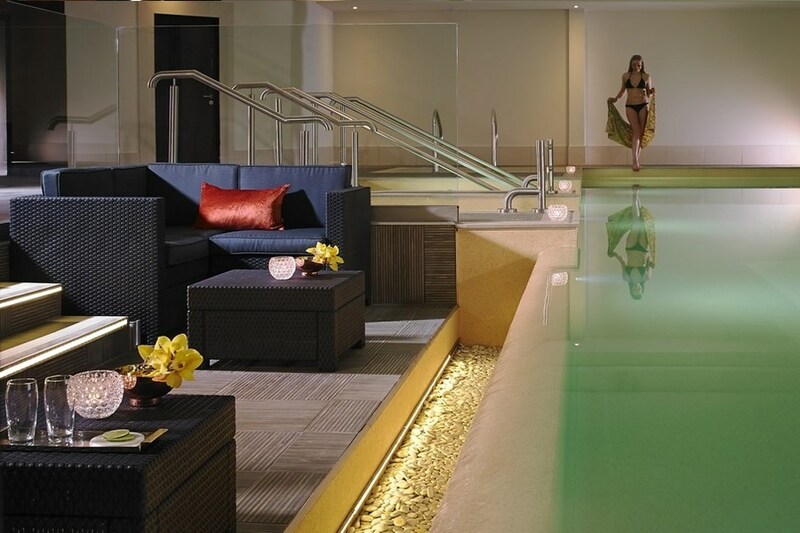 Escape to the brand new Spa Veda at the Westport Coast Hotel. Ayurveda is an ancient system of Indian health which originated in the state of Kerala, south India, some five thousand years ago. Directions from Westport Town: When you are in Westport town, drive up Bridge Street in the right lane (the town clock is at the top of Bridge St). Turn right on to Shop Street and get into the left lane. Follow signs for the Coast Road or The Quay. Continuing on this road you will pass Westport Woods Hotel on your right and further on Centra Supermarket on you left. The Atlantic Coast Hotel is located on the left along the stone buildings. Westport town boasts many tourist facilities. An excellent 18 hole Championship Golf Course is located on the Golf Course Road, just off the Newport Road, approximately one mile outside the town centre. This fabulous golf course guarantees excellent golf and scenic splendour. There are many other excellent golf courses in the area. Please let us know if you are interested in playing golf while you are with us and will can arrange concessions at certain courses. There is a wide selection of sandy beaches to choose from on the North and South shores of Clew Bay, and down the coast south of the Bay to where the isolated strand of Thallabawn meets Killary Harbour, Ireland's only fjord. Many of the beaches are EC Blue Flag winners including Bertra, near Murrisk, Old Head and Carramore in Louisburgh. My family and I had a two night stay at this hotel recently. The staff were friendly and helpful. The food was excellent and the accomodation was very comfortable, and both were great value for money. The hotel is in a great location with scenic views of Clew bay, and a short distance from the town. I would highly recommend this hotel, and I will be going back. We stayed here a couple of days ago. On our arrival the phone in our room was broken and the bathroom was not cleaned properly. We were upgraded to a bigger family room which was lovely and everything was handled very professionally. The bed was very comfy! The food was great and the staff very attentive. The only reason I give it 4 stars is because the pool was closed, so we couldn't use it. They had an option to go to another hotel to use the pool there, but this seemed like too much hassle. From check in to check out everything about this hotel was brilliant. The staff went out of their way to be helpful.Would have no hesitation in recommending this hotel. Great hotel. Quiet location. Restaurant food excellent for dinner and breakfast but bar food second night disappointing and greasy. Room looked onto harbour but other rooms hotel would face onto unattractive car park. Car park v small, best park on street. Swimming pool good but no jacuzzi. Stayed on Saturday night in hotel. Excellent staff, food and service. Great location too. Definitely will return again. Highly recommend this Hotel. I had a lovely stay in the Westport Coast Hotel. The staff were very accommodating and service was excellent. I had a meal in the Blue Wave restaurant and it was amazing. A few things could have been improved. The steam room in the leisure centre was out of service and filthy. We were not informed of this on entering the pool nor was there a sign up indicating same. Our package included dinner however we were not informed that it was a 2-course meal on the package rather than a 3-course meal. We were charged for the deserts when checking out. These things aside, the location of the hotel is excellent and I would stay here again. A realy nice Hotel, very friendly staff. One of the better hotels that we have ever stayed in. Michael (Bar Manager) will go places, he was particularly friendly and efficient. The food A1 Our compliments to the Chef. Fantastic hotel. Nice and warm room. Very friendly staff. Delicious food. Beautiful views from the restaurant. Would highly recomend sand would love to be beack. Thank you all the staff. I found the staff at this hotel very helpful and friendly. The hotel was clean and the food was amazing. We got a freshly cooked and warm breakfast which we really enjoyed. The only negative thing was there was no Jacuzzi but the leisure centre was very enjoyable and clean and warm for November. The hotel was lovely and bright. The staff were so kind, approachable and friendly. The food was absolutely delicious and service was fast. The treatment in spa was the best I have ever received. I will be definitely returning. Thank you. Hotel excellent, room very spacious in a lovely setting looking out over Clew Bay which is spectacular. Breakfast and dinner fantastic standard, fish especially lovely on dinner menu. Staff very friendly and helpful. Found the hotel excellent and the food really good. It was great value for money and would highly recommend it. Perhaps they might useWD40 on the lift which squeaks when going up and down otherwise no problems whatsoever. Loved our stay at the Carlton Atlantic Coast...location was great; hotel was modern and room was clean, spacious and comfortable. Evening meal in the Blue Wave restaurant was really good, and breakfast was also great. Staff were really great - very friendly and welcoming - and this came across as being totally genuine, rather than put on, for the job. The only negative issue was the noise of the lifts operating - very squeaky noise which woke us in the morning, once folks started making their way tot the top floor for breakfast... Overall though, we were well pleased with our stay, and would be happy to return again. - John & Glenice (Co. Kildare). Despite our late arrival - the reception staff were helpful and friendly. Room was comfortable and spacious, but very warm and no temperature controls were available in the room. We found the hotel to be located a fair walk from the town centre but was close-by to some shops, cafes and pubs along the quay front, which offered a choice without straying too far. I did find the plates and cups at breakfast a bit dirty - this was disappointing and could be easily addressed. However the food was of a high standard and the restaurant staff were very good. The leisure facilities and spa were top notch. Enjoyed the stay, great value for money break and would certainly consider staying again. Lovely hotel ,friendly staff,very clean,lovely food,great location definitely be back. Myself and my partner recently stayed in this hotel. We enjoyed our time in Westport but we did feel a little let down by the hotel as going on the reviews we read before we booked our stay we were surprised that it was not what we expected. On arrival we found the receptionist made no eye contact and seemed distracted by her computer being slow than checking us in, We didnt pay much attention as these things can happen but on regular trips in and out of the hotel not one receptionist looked at us or made any friendly gestures to welcome any guests, they always seemed busy on their computers which we found disappointing as they are the first people you see in any hotel. The room was clean but could be modernised a bit and was very warm so we requested a fan which was no problem. We were facing a car park which was disappointing as there were so many lovely views from the front of the hotel. We made good use of the pool which we enjoyed. The best thing was the breakfast by far and the floor manager seating people for breakfast had fantastic customer service skills. We would visit westport again but do not think we would stay at this hotel again. Relaxed and comfortable surroundings. Well located and close to all that is happening in Westport. Great breakfast! I bought it as a present for my sisters, and they were very impressed. I so looking forward to availing of it myself in the not too distant future. It's excellent value for money and a brilliant location. Perfect. Clean,comfortable. Friendly,helpful staff throughout. A well -run,welcoming Hotel that is a credit to Westport. We will Return! Room was nice, but v warm. We had a nice view Of the harbour, however traffic is noisy from that view point. Fish cafe fish dishes were lovely but non fish lovers will be left disappointed. The burger didn't seem to be freshly prepared. In addition the lobby is small for a pre dinner drink. Finally, I'd like to return with my children as it is v close to Westport House and The hotel does have a kids club which appeared to be full of events for the little ones. Stayed in the Atlantic coast hotel 1st weekend in April, Staff where very friendly and helpful, food was excellent in the Fish restaurant and breakfast was also great. Family room was spacious and clean and kids and wife loved the pool and the spa. Although just outside the town did have amenities right beside it with shops and pubs close by along with Westport House that is just down the road and excellent for Kids. this was our third visit to the Carlton Atlantic Coast Hotel and ,as usual, it was a wonderful two days. The hotel itself is all that it claims to be on it`s website but what cannot be appreciated until you visit. is the incredible welcome and friendliness of the entire staff compliment. Nothing is a problem and everyone seems to be intent on ensuring that all their guests have a great experience while staying with them. If I had one complaint, it would be about the quality of the food, it is so good I think I gained about a stone in weight, congratulations to all in the kitchens. Thank you to all at this beautiful hotel. The location of the hotel is great, the breakfast was really lovely but we were disappointed by the room we got. The hotel was nearly empty and we were given a room facing the car park when we could have had a nicer view over the harbour. The leisure centre was disapointing, the swimming pool is fairly small and compared to the hotel we had just been in Roscommon the changing rooms had very little facilities and Ihere was no jacuzzi. The location and the lovely restaurants around the hotel are what really make it for this hotel. The staff I have to say were very friendly and helpful. Spent one night at the Carlton Atlantic Coast Hotel in early Feb. The room was basic but clean. The shower was great, adjustable power. Food was very good, both evening meal and breakfast. Swimming pool was clean and quiet. Plenty of parking. Very friendly staff. Location is good, quiet area of westport. Perfectly nice hotel,food was disappointing. After having our recent stay in the atlantic coast, i have to say yet again a time was had, as this was our 10th visit. We have nothing but the height of praise to all the wonderful staff,spotless accommodation,superb food,relaxing atmosphere,What more would you need for a wonderful break away.Thank you to all, and hope to see you soon again! Helen Co.Clare. My husband and I arrived at the Carlton Atlantic Coast Hotel on the 22nd of October for a three night break we got a really friendly welcome at the front desk our room was very comfortable really clean and spacious the deal we had was B&B and a 2 course evening meal the food was excellent and so was breakfast each morning. The staff throughout the hotel were really helpful and polite .Many thanks to all concerned. We will be returning. 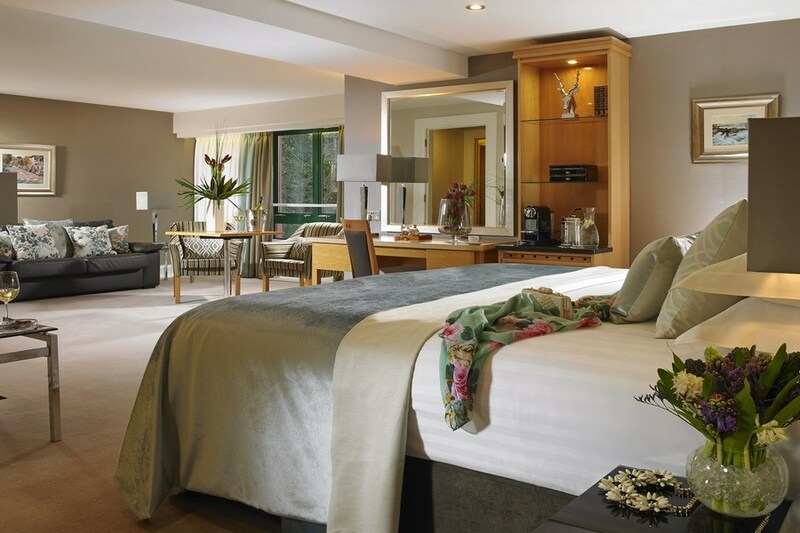 as a mature couple we arrived at the hotel on the 16th oct., for a two day stay at the carlton atlantic coast hotel, from the outset with the friendly greeting at the front desk we were made to feel welcome ,the rooms were comfortable ,clean and spacious . As we went on a midweek deal we thought the value was very good ,the first nights meal was really nice as was both mornings breakfasts .For the second nights meal we decided to enquire if it was possible to upgrade to the more expensive menu and we were pleasantly supprised to discover for just an extra 7 euro (for the chosen meal) this was no problem ,it transformed the meal from nice to excellent . Overall a very nice stay . Thumbs up to the staff for a great and friendly (especially restraunt/bar staff) job well done . P.S. We'll be back. Just back from a short break at the Carlton Atlantic Coast Hotel. When we checked in the receptionist was very helpful and friendly. Our room was on the 1st floor and over looked the carpark, not a nice view but didn't spoil our stay. The room itself was very clean and the decor was nice. We had a meal in the Blue Wave Restaurant which was lovely. The staff here where very nice. Went to Fishworks Cafe bar for a drink afterward but there was a very strong smell of fish so didn't stay to long. The swimming pool was lovely and the staff helpful. Would definitely go back again, have to climb Croagh Patrick next time. Excellent hotel facilities. Very comfortable. Clean. Very friendly staff. Food excellent. Would love to stay there again. Thanks! Brilliant hotel, great location, staff were great, food was WONDERFUL! Will definitely be going back! Just back from a wonderful few days in Westport. We stayed in the Carlton Atlantic and every member of staff was so friendly, pleasant and helpful, Meals - breakfast & dinner were a wonderful experience. Will spread the good news! !Just one little negative : The steamroom was out of order, so looking forward to it being in working order when we return. Thanks to everyone for helping to make our few days such a lovely experience, Regards, Pete and Carmel Murtagh. 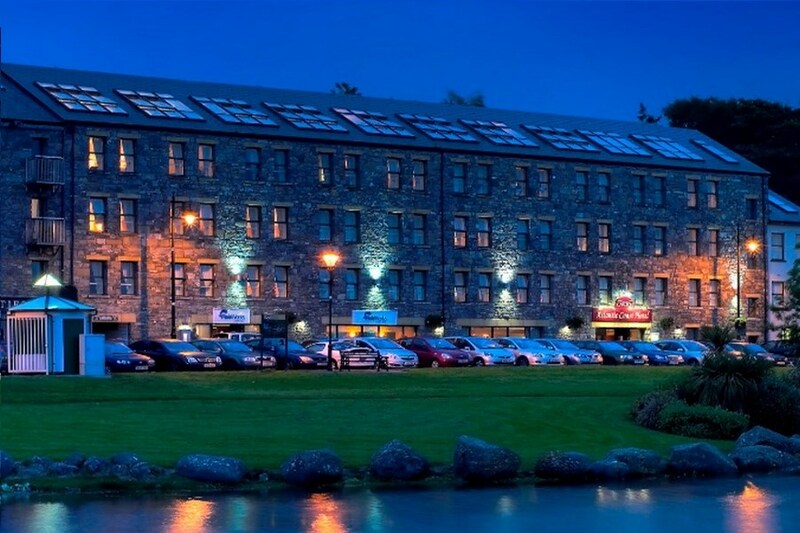 We recently stayed at the Carlton Atlantic Hotel Westport through Lidi Break's. Must say it was second to none we stayed two nite's and had breakfast and two evening meals. Would recommend it to any body looking for a good break. Couldnt find fault with hotel..........staff, accomodation, food,all excellent ,will be back again. Really enjoyed our stay at the Carlton Atlantic Hotel. Staff very friendly. Had a wonderful massage in Spa by Rani. Room excellent and food really good. Lovely hotel. Package included breakfast and dinner and the food was very nice. Only drawback is that the location of the hotel is on the outskirts of Westport. You'll need to get a taxi if heading out at night. Taxi fares are only €6 each way though.